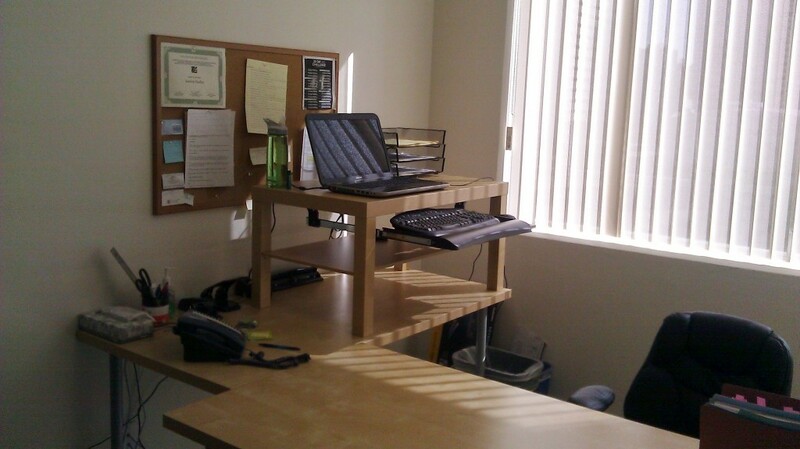 This Stand-Up desk works great for those who get energized by standing rather than sitting. Love the idea of a stand-up desk? I had one for many years myself. Mine was made with Metro Shelving on wheels and I’ve since lowered it to become a sit-down desk. We change! Here’s a great concept an attorney colleague of mine created by adding an Ikea coffee table on top of her regular desk. Notice she also added the keyboard tray so it maintains the 90 degree angle for her elbow even while standing. Very ergonomic. You might even have an extra coffee table around that you can repurpose to try this out. Why a stand-up desk? We’re all different. She likes the freedom and energy flow. She likes walking around while on the phone too. And, since she had two desk bases, she can simply move to her second desk when she wants to sit. Best of both worlds. So, if this appeals to you, give it a try! We’re all wired differently so whatever works for you is all that matters. Just be sure to watch those stilettos if you’re working on a hard surface. That could be hard on the back! 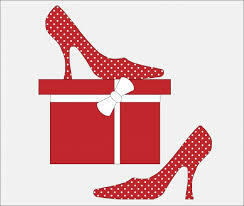 You ladies may want to keep an extra pair of cushy-sole flats at the office now. And, for you gentlemen — didn’t mean to shun you. You will also enjoy the flexibility of having a stand-up desk.